Progress in modern education has direct implication on the standard of living reflected by a nation, and this is fittingly justified through the rapid development of India in recent times. The education system in India has evolved in a remarkable way, to become one of the largest establishments of its kind in the world, surging the stability in economy and the wholesome development of general intellect amongst its citizens. 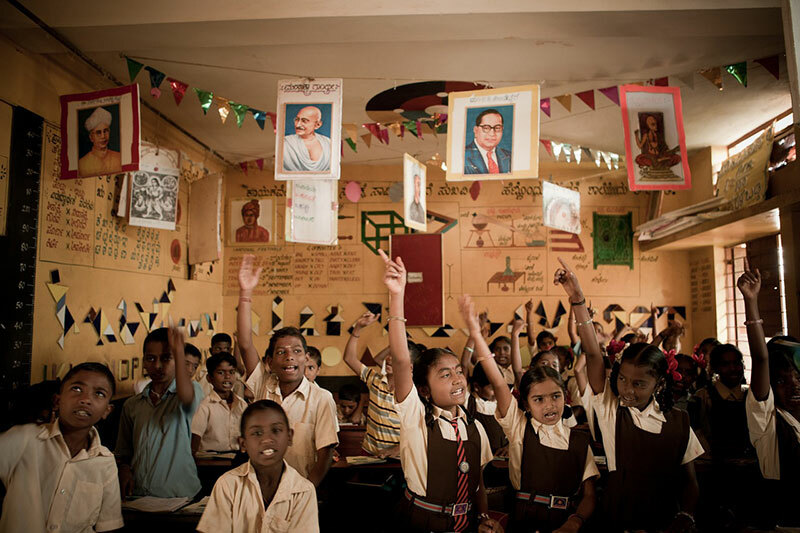 Today, education in India is seen as one of the key ways to upward social mobility, being utilised as a powerful tool to build a society based on knowledge and progressive temperaments, while upholding the tender framework values and ethics intact. Considerable improvements, in both quantitative and qualitative terms have created a space for a positive outlook towards the society, in general. However, to augment education to a higher level, it is imperative for educational bodies to undertake modern age steps – one of the most prolific being diversity in classroom. The modern Indian society is diverse in its cultural roots, with inclusion of expats settling down to explore better opportunities and views diversity in a positive light. Schools are the initial enablers of progress and a healthy perspective towards life and hence, diversity needs to be promoted in classrooms to as it gives people the chance to experience and imbibe a plethora of cultural connotations. The explosion of global atmosphere in a developing country like India fuels this growth of diversity to a great level that one can denounce the myriad diaspora that is blooming, even in the most remote pockets of the nation. With the advancement of connectivity and modern amenities, students come to the classroom with different backgrounds, sets of experiences, cultural contexts, and world views. A diverse student population results in providing a common platform to people of various ethnicities. This inculcates the importance of cultural appropriation and teaches young minds to view people on the basis of their nature, not race. A diverse organisation is one that values the difference in people, through recognising individuals with diverse backgrounds and upbringings, which enable them to come forth with fresh perspectives. Diversity in classroom encourages one to identify and leverage these differences for the unified good. Diversity has been prevalent in the classrooms, but in today’s age it is imperative to utilise it in a more positive way. Teachers should encourage to value diversity and cultural sensitivity amongst their students as one learns to respect human life in its truest form through inculcation of cultural diversity, while acclimatising themselves with novel customs of the world. Additionally, issues of diversity play a significant role in how students and teachers view the importance of the classroom and its learning. Identifying and thinking through notions of difference and how they affect the classroom allow both, students and teachers to see the classroom as an inclusive place. It is essential for teachers to provide students with an environment that is conducive to learning. As when a student feels uncomfortable or low in confidence, then their chance of success in the respective class dramatically decreases. Hence, it is imperative for students to learn and use diversity to the greater good. – Taking the patience to acclimatise oneself about the students’ background, interests, and learning style. This will allow teacher to create an environment that can be easily directed and assimilated to each individual student. Every student has a story to tell and it is for the teachers to listen to them. Young minds can relate to those who take time to listen and provide credible responses. – Allotting time for the students to learn about each other and gain an appreciation for the diversity they bring to the classroom. Functioning in teams encourage students to assess the strengths of the team members and channel it, in order to produce the best possible results. Team building is essential to function in the real world, as assimilating strengths of various individuals helps in working towards a common goal at a rapid pace. – Bringing in people of different ethnicities, from varied walks of life, to class as resources. This will help students get familiar with the variety in customs and beliefs. Therefore, teachers should proactively seek people from diverse backgrounds in order to give ample opportunities to students to learn from different personalities. It is important for students to look-up to someone as role models. These role models would turn out to be relevant framework for the students to base their life decisions on. – Showing zero tolerance over bullying, teasing, and other put-down behaviour, at any time in the classroom. Racial bullying has percolated through the early eras of segregation and Klu Klux Klan, with people being prosecuted for belonging to a different race. In modern era, such extreme measures are not taken, yet psychological and verbal versions of it remain prevalent. Hence, today, it is important to understand that a community is built on trust and mutual respect, something that can be imparted to children from classroom levels. Implementing a “zero tolerance” for anything that is disrespectful, hurtful, or intolerant of diversity instills a sense of abhorrence in the direction of any behaviour that would be considered as a sign of hostility towards others. – Encouraging student participation through intrinsic involvement with the curriculum. Participation can be promoted by encouraging students to respond to questions within their ideologies or personal experiences. It can also be introduced by asking students to debate on issues and practice role-play. Involving students in innovative methodology does not only provide variety in instructions but also enhances retention and assimilation of learning. Teachers already have a number of roles in the classroom, yet, valuing diversity is one of the most important ones he/she must fulfill. With such progressive measures, one can uphold the delicate framework of diversity and openness while promoting humanity at large. The fabric of our society on the amalgamation of various perspectives and promoting diversity helps in maintaining that. Authored by Deepika Sharma, principal, SRS International School.